Thanks to the Labor Day Holiday, the BF and I finally had the time to do a movie marathon at home. The Hobbit: An Unexpected Journey, The Campaign, and Wreck It Ralph made up our playlist. Of course I took the opportunity to do some baking. It's been a month since I did the Carrot Muffin recipe and boy was I really excited to get my oven running again. 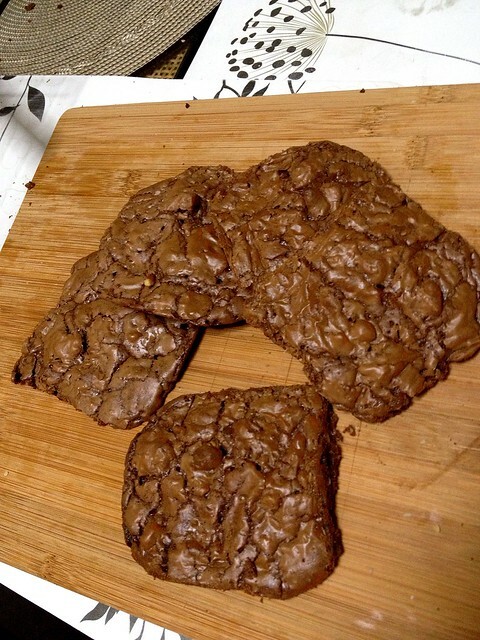 I downloaded some recipes from the web and got this Brownie Cookie. Good thing I have all the ingredients available in my storage. Notice that my cookies were bigger than the normal size. I may have done something wrong but I have yet to figure it out. 3. Beat eggs, sugar, and vanilla at medium speed with an electric mixer. Gradually add flour mixture to egg mixture, beating well. Add chocolate mixture; beat well. Stir in remaining 1 1/2 cups chocolate morsels and pecans. 4. 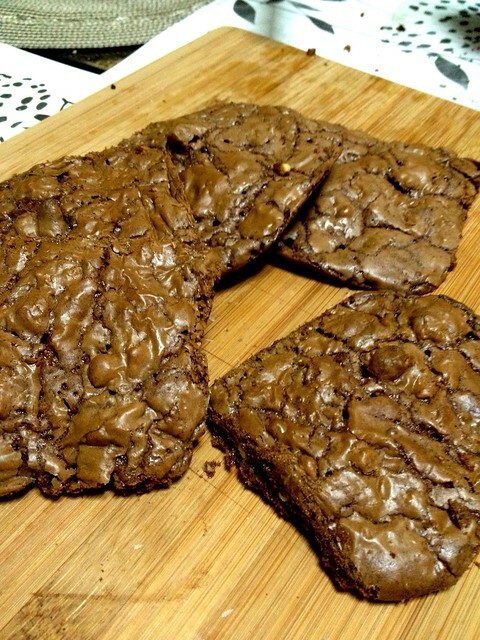 Drop dough by 2 tablespoonfuls 1 inch apart onto parchment paper-lined baking sheets. 5. Bake at 350°F for 10 minutes. Cool slightly on baking sheets; remove to wire racks to cool completely.